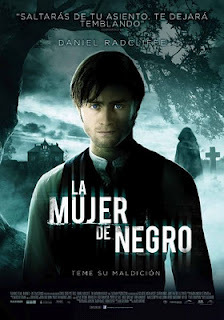 Reparto: Daniel Radcliffe (Arthur Kipps), Ciarán Hinds (Sr. Daily), Janet McTeer (Sra. Daily), David Burke, Shaun Dooley (Fisher), Alisa Khazanova (Alice drablow), Sidney Johnston (Nicholas Daily), Alexia Osborne (ictoria Hardy), Mary Stockley (Sra. Fisher), Aoife Doherty (Lucy Jerome).